With a million things due and a million to organise (not to mention the inbox) I’m running away today to go for a walk in the mountains with some dear friends. I really, really need it. Yesterday I came back from a business trip to Sydney. It was great meeting people from some of the biggest publishers, and I stick by something I’ve said before – the publishing industry in Australia is nice. What was interesting were the offices – they varied from suave to rat-race cubicle farms, from central to industrial (with no places to eat). Lots of free books were thrust upon us. I know – I’m lucky. 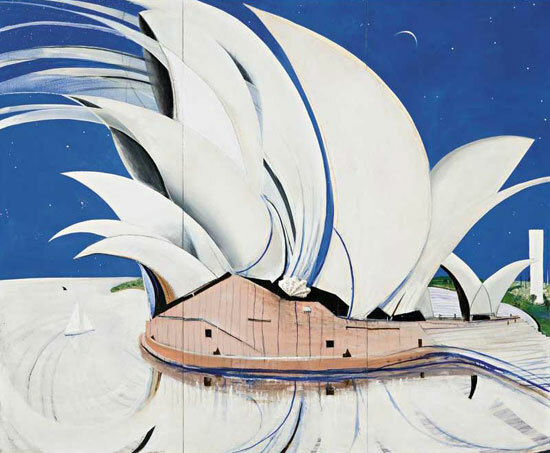 Pictured: Opera House – Brett Whiteley. This is a whole other blog post sometime but while in Sydney I had an urge to reconcile my bad feelings about the city. See, I lived there for three months when I was 18. I will tell you the whole story sometime. It’s hard to, though, because it was one of the most difficult and depressing (and I don’t use that word lightly) times of my life. I used to spend a lot of time at the state art gallery, and yesterday I went there, for the first time in years. I stared hard at some of the paintings that were my favourites, and I tried to remember what I was looking for in them, back then. It surprised me to realise I could see much more around the edges now. Fascinating, how visual art, much like books, is a two-way communication between artist and viewer/reader – perhaps even more-so than books because two people could interpret a painting or sculpture so differently. One of my favourite things about galleries is discovering art and artists I didn’t know of before (or didn’t know I liked). The finalists for the Dobell Prize for Drawing were on show, and I discovered an artist called Tanya Chaitow. See some of her work here. Did I reconcile my bad feelings about Sydney? It was an incredible, sunny day on Saturday. It was difficult to feel negative in that kind of weather. Sydney and I are learning to become friends, but we can only handle each other in short bursts. I can’t see myself living there again. Now Melbourne – Melbourne and I like each other much better – you might even call it love. 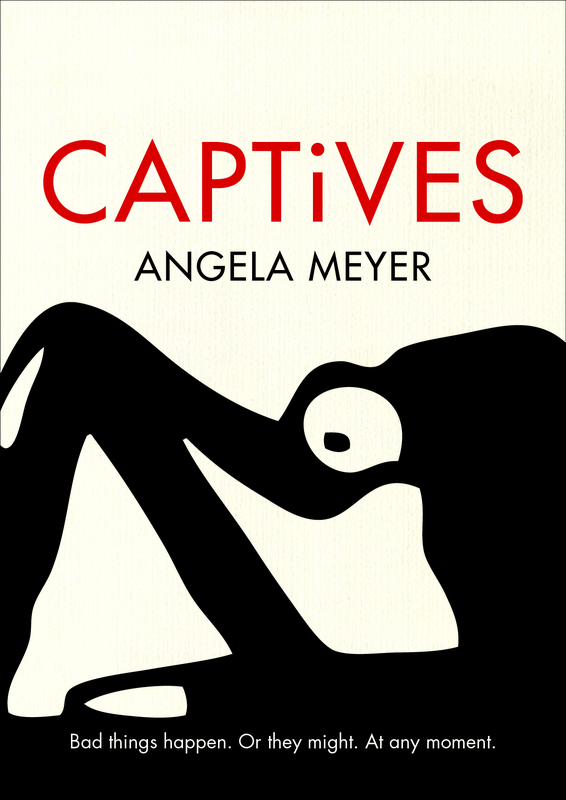 I was very excited to hear that an independent anthology out of Toronto, which I contributed to, has come out. It’s called Goodbye Billie Jean, the Meaning of Michael Jackson. It has quite an impressive list of contributors (Pulitzer Prize-winner, monk, drag queen). The pieces are thoughts, opinions and ideas on the meaning of MJ. You can get it online (details here). It’d be cool to see an Australian micro-publisher or zine distributor pick it up here also. Okay, I’m off to breathe some fresh air, have D&M conversations, and use my muscles they way they’re meant to be used. I hope you do share your thoughts on Sydney sometime, Angela, as I’ve lived here in “Sin City” for 13½ years after having grown up been raised in rural NSW and I’m becoming deeply ambivalent about this place. I’ve always had a somewhat heretical (if you’re a Sydneysider) fondness for Melbourne but don’t visit there often enough. Sydney is the LA of the southern hemisphere in all it’s glory and shallowness, fun and depravity. And etc. It’s a dynamic powerhouse of ambition and still very much a wannabe in many ways. A weird place. Anyhow, hope you decide to share someday. I was brought up in Sydney (lived there from 3 to 23), have lived in Canberra for years and wouldn’t go back in a fit. It’s a shallow, pretentious, money-mad, chaotic dump. I hadn’t thought of the comparison with LA but it’s very apt – there’s another aspect to it and that’s a lack of community feeling and an inability to plan. (I’m a regular at the Plane Talking blog and Ben who runs it has said a couple of times recently that he thinks Sydney’s inability to confront chronic infrastructure problems, including the airport, is going to lead to it being eclipsed by Melbourne in Brisbane in coming decades). I love Melbourne and Adelaide, and quite happy with Brisbane and Perth. But Sydney leaves me cold. The harbour is just lipstick on a pig IHMO. Wow, your opinion is certainly strong. Interesting coming from someone who lived there so long. Thanks for your comment!